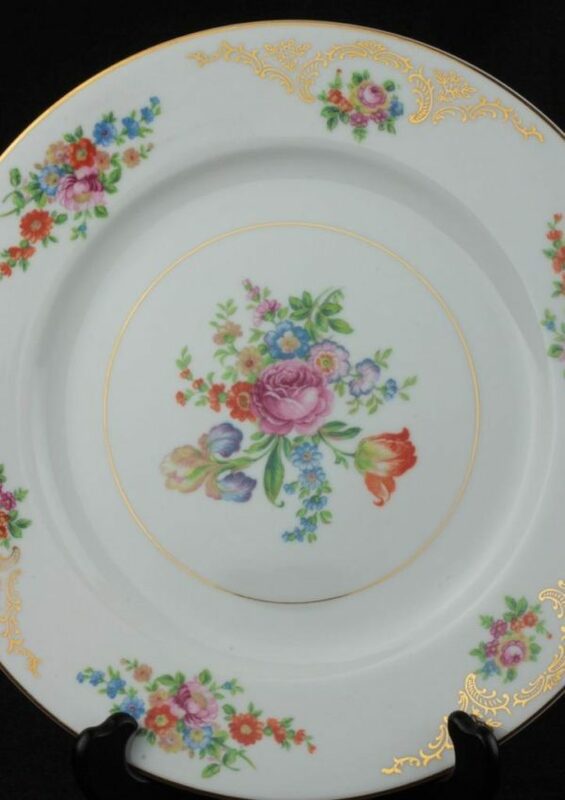 1940s Aichi China Dresden Flowers Dinner Plate(s) 10.5"
Today we are offering 10 1/2″ dinner plate(s) made by Aichi China of Japan circa 1940/50s. 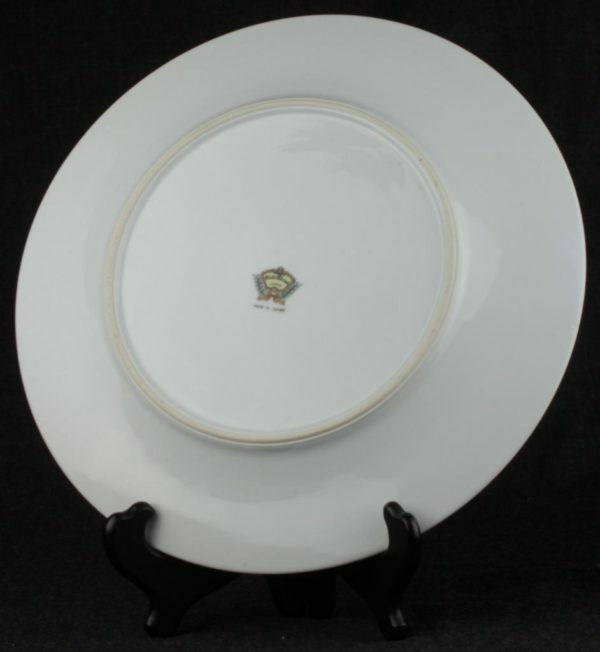 These are just a portion of a large set of this China we recently acquired. 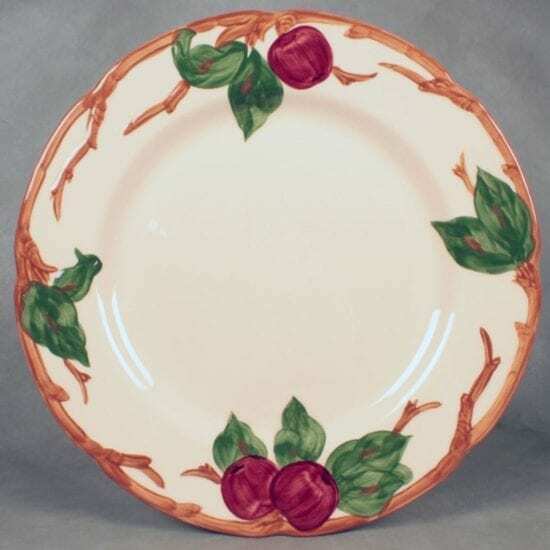 This auction is for one plate although there are 12 available for purchase (just change the number in the quantity box if you wish to purchase multiple sets). 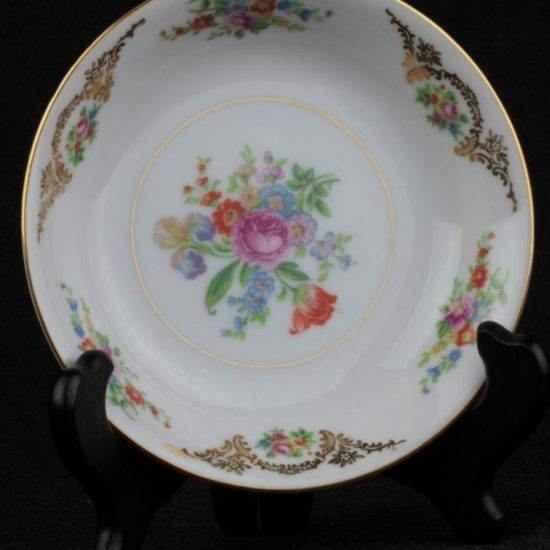 Nice transfer printed pattern known as AIC13 on Replacements or Dresden Flowers by collectors. 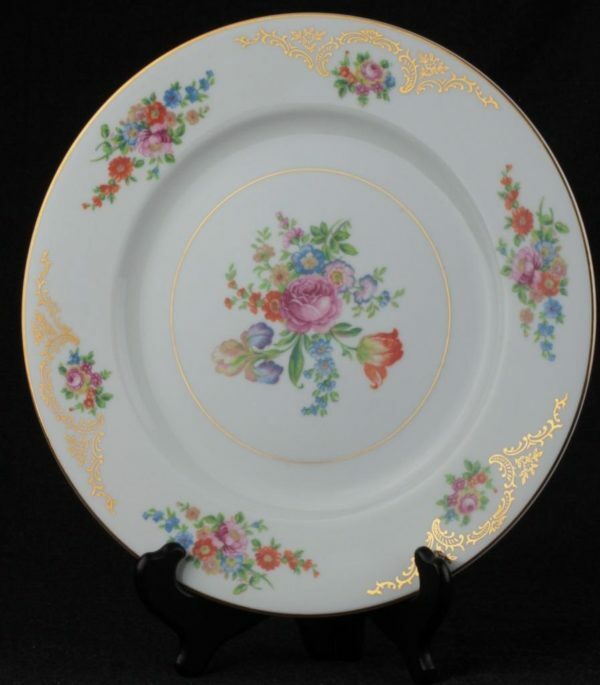 There is a gold motif interspersed with the flowers along the rim and a gold edge and interior circle on the plate. 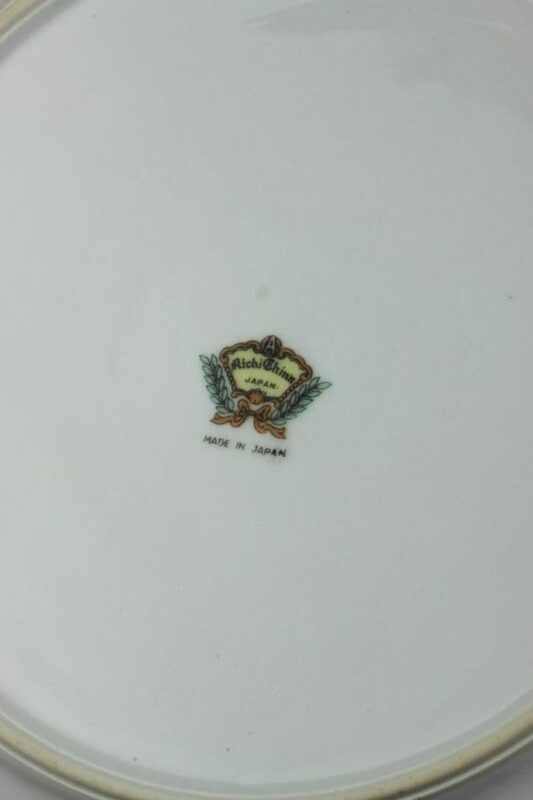 Marked on the back “A Aichi China Japan (logo) Made in Japan.” Excellent condition! 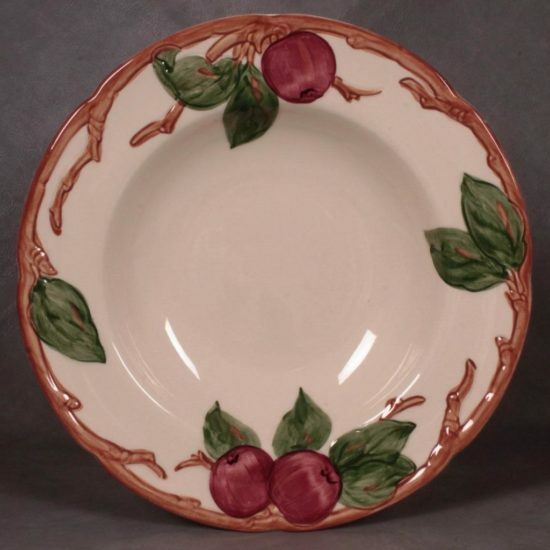 Ready to be enjoyed and displayed. 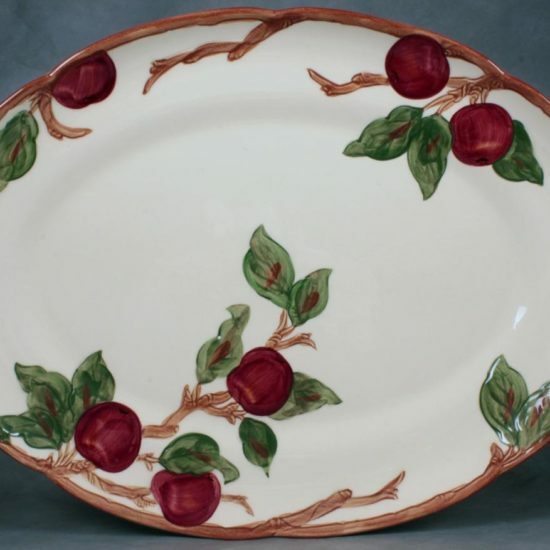 Please see our other auctions for more of these lovely dishes including several serving pieces.